Do you put time and effort in caring for your utility knife? If you are one of the many woodworkers who simply take for granted their utility knives then it’s time to learn how to care and maintain this trusty tool. Other than keeping your utility knife sharp and ready, there are a few nifty ways of maintaining and caring for your cutting tool. Utility knives are more than cutting tools. This is an all-around knife that can cut, pare, mark and peel different kinds of materials. Most professional woodworkers are very particular about caring for their utility knives because these are versatile and simply a good and handy tool to have around. For stainless steel utility knives simply rinse using tap water to remove any dirt, grime or oil. After rinsing, sanitize by using ethyl alcohol and then dry off. You must do this after every project to make sure that your stainless steel knifes stay in tip-top shape for all your projects. For high carbon knives, you will notice a little discoloration on the blade as you use it from time to time. This is not rust but rather a patina which is a natural discoloration of the metal. This is natural so you don’t have to scrub it or oil it to remove the discoloration. Always clean, sanitize and completely dry your carbon knife. Aside from these, you must also give it some TLC. Apply mineral oil and not food-based oil. If you do not want your high carbon knife to develop a patina, polish the knife once a week using metal polish and apply oil after using on a project. Aside from the blade of the knife the handle should also be cared for. Do not expose the handle to extreme heat and cold. Extremes in temperature can affect the strength of the handle. So make sure to avoid anything that can melt the handle. Sharpen a utility knife regularly and for any irregular bits along its edge, reshape it with the use of a grinder. You may also have this sharpened professionally. Keep your knife inside a sleeve or a box that came with it especially after it has been sharpened. Keeping a utility knife together with other metal tools can affect its sharp edge and can also expose it to dirt, grease, paint and more. If you prefer carrying your knife anywhere you want to go, use a sleeve and attach this around your belt. Use a knife sheath to cover and protect your utility knife. Do not attempt to chop, cut or pare wood with a small utility knife. This will only damage the blade and can make the edges irregular. Along with ensuring that utility knife is sharp, you must also make sure that it maintains a pointed tip. 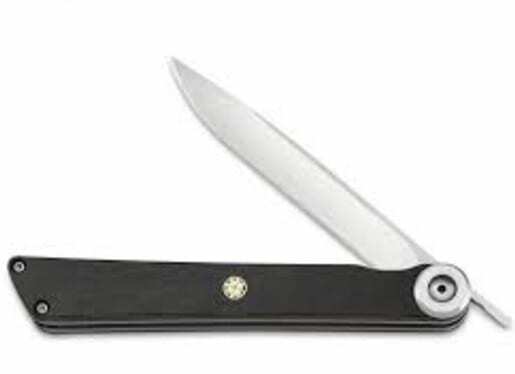 A utility knife is a personal tool, do not let anyone use your knife or borrow it. A utility knife is an all-around tool that has to be maintained and cared for so it would be ready for any woodworking project. It has to be sharp and strong and therefore must be sharpened professionally to maintain its good sharp edge. And whether you are new to woodworking or you are a professional, you will surely keep a utility knife in your person even if you are not working on a project. With proper maintenance techniques, you will have a good cutting, paring, chopping and peeling tool to use all the time. Do you have a few tips on how to maintain a utility knife? If you do, tell us from the comment section below. And if you like this article, share it to anyone who you think deserves some good woodworking tips.